It seems there’s an app for any function you can dream up these days. Mobile users seeking entertainment can install apps for gaming, media streaming, and social media. For those who love to “shop ‘til they drop,” there are e-commerce apps to make the purchasing process smoother. Health and fitness buffs can utilize apps that help them track their progress and hit their goals. There are travel apps aplenty for jet setters; productivity apps for people who want to improve their workflows. From an app marketing perspective, these apps have more in common than you’d initially think. There are a few underlying principles applicable to marketing any app, no matter its category or exact functionality. Here are four musts for marketers working on user acquisition and retention for any type of app. Cost per acquisition: Divide user acquisition costs by the number of acquisitions to determine how much money you’re spending to get users to install and convert. Churn rate: Keep an eye on how many people stop using your app within a certain timeframe to gauge the quality of users your campaigns are attracting. Session length: This metric will help you understand how people are using your app; an ideal session length varies by category. Taking the time to define your KPIs up front will help you assess your marketing efforts at a glance. Quality users are those who take desired actions after installing your app. But what are those actions, exactly? The most meaningful post-install eventsâ€”actions taken by users following installationâ€”depend on your app’s nature. Understanding which post-install events matter to your app and how much value each one generates will help you optimize your campaigns. Post-install events are far-ranging: Registering, viewing content, making an in-app purchase, subscribing, reaching a certain level, sharing content, etc. There are also different valuations for certain events. A user who subscribes for premium access on a dating app is worth more in the monetization strategy than someone who creates a profile. Once you know which actions generate engagement and value for your app, you can optimize your campaigns to attract people likeliest to complete these coveted events based on demographics and behavior. 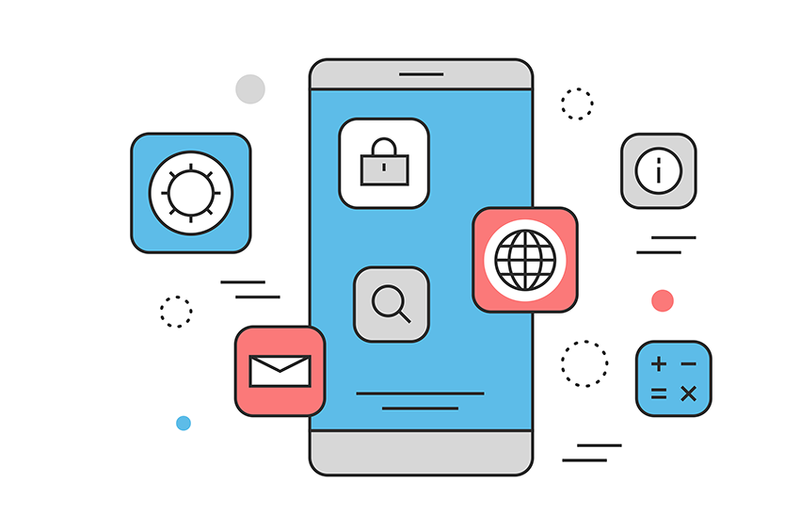 To be successful at mobile application marketing, you need to think beyond acquisition. Getting someone to install your app is a start, but it certainly doesn’t guarantee they’ll keep using it. Retaining engaged users is what really counts in terms of generating revenue and loyalty. The retention rate for mobile apps stands at about 22 percent after 90 days. That means 78 percent of users churn within three months. Some people abandon apps consciously. Others merely forget to re-engage, meaning it’s possible to pull them back into your funnel with helpful reminders like push notifications and personalized retargeting ads. These four” musts” for marketing any mobile app will help your team prioritize what’s important and refine your campaigns as you go. This entry was posted in Android, How to's, iPhone, Marketing, Mobile, Searh Engine Marketing, Tutorials and tagged 4 Musts for Marketing Any Mobile App. Bookmark the permalink.